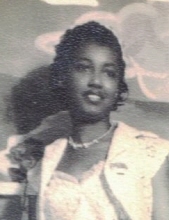 Eleanor May McKenzie was one of several children born on August 2, 1942 in Panama City, Panama to Clarence & Gladys McKenzie (both deceased). Her siblings were Alfredo (Deceased), Samuel, Ferdinand (Deceased), George, Marva and Vilma. She grew up in Paraiso, former Canal Zone. Eleanor attended IPA (Instituto Panamericano) for one semester – long enough to meet Hector Mills whom became her sweetheart. She transferred to and graduated from Paraiso High School on the former Canal Zone. After graduating High School she traveled to the United States to attend Roosevelt University in Chicago, IL all the while her relationship with Hector continued to blossom. In 1964 she returned to Panama to wed Hector Mills at St. Paul’s Church. They were sweethearts for 61 years and married for 54. The couple relocated to Brooklyn, New York and were blessed with a daughter Bernadette Marie Mills. Eleanor will be sadly missed by her husband, Hector Mills, daughter, Bernadette Mills, brothers, Samuel McKenzie and George Lancelot McKenzie (Alicia), sisters, Marva Sobers (Eustace) and Vilma Wilson; brothers-in-law, Stanley Mills (Carmen) and Alberto Mills (Sonia), sisters-in-law, Yvonne Lovell and Janette Mills Belgrave and a host of nieces, nephews, cousins and many, many friends. To send flowers or a remembrance gift to the family of Eleanor May Mills, please visit our Tribute Store. "Email Address" would like to share the life celebration of Eleanor May Mills. Click on the "link" to go to share a favorite memory or leave a condolence message for the family.